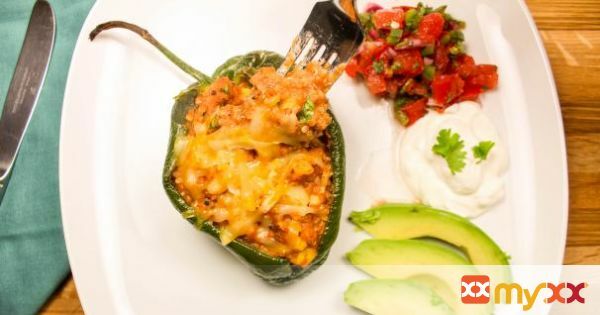 Vegetarian Enchilada Stuffed Peppers are everything you love about enchiladas without the guilt! These peppers are stuffed with quinoa, beans, corn, and enchilada sauce. Low-fat and packed with tons of flavor.